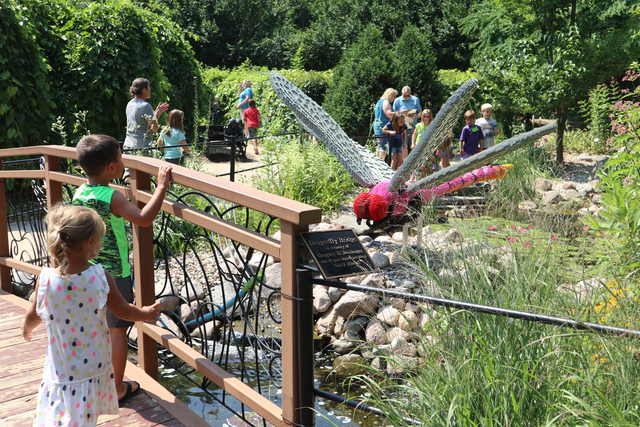 If you got the chance to take a stroll in the Garden in the past three months since the visiting Nature Connects exhibit arrived and noticed that things seemed a bit livelier than usual, you weren’t wrong. In fact, attendance has skyrocketed, as we’ve seen an average of 2.7 times the number of visitors in comparison to the summer of 2017. We’ve also been visited by more than 45,600 residents of 45 states and 8 countries! “It was awesome! Well worth the drive and exploring the gardens was so fun! 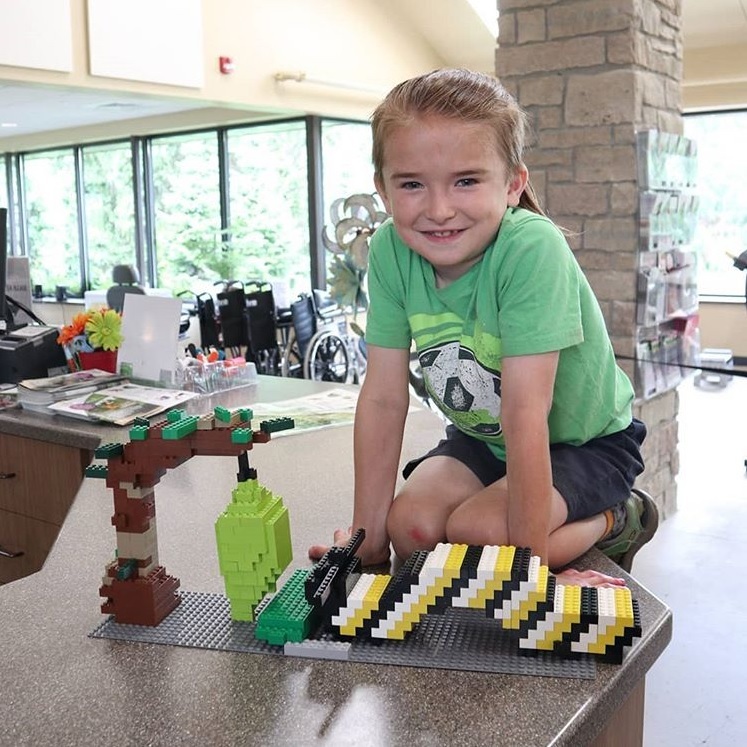 From these numbers alone, it’s clear that Nature Connects has been a sweeping sensation across Green Bay and far beyond, but the creativity sparked by these 16 sculptures made with LEGO® bricks may be even more impressive. In the LEGO Block Build Area, we witnessed incredible brick-building talent and wild imaginations in the creations made by guests ranging from a monarch caterpillar complete with a chrysalis hanging from a branch to a juicy-looking piece of watermelon and even a big statue of SpongeBob SquarePants! “Thank you so much. We had a great time today. I found it especially fun this summer to watch children and families of all ages play together and creatively collaborate in the block build area located near my office, sometimes sharing stories of childhood adventures with LEGO blocks. I believe that it was during these moments that the spirit of the Nature Connects exhibit truly came alive. 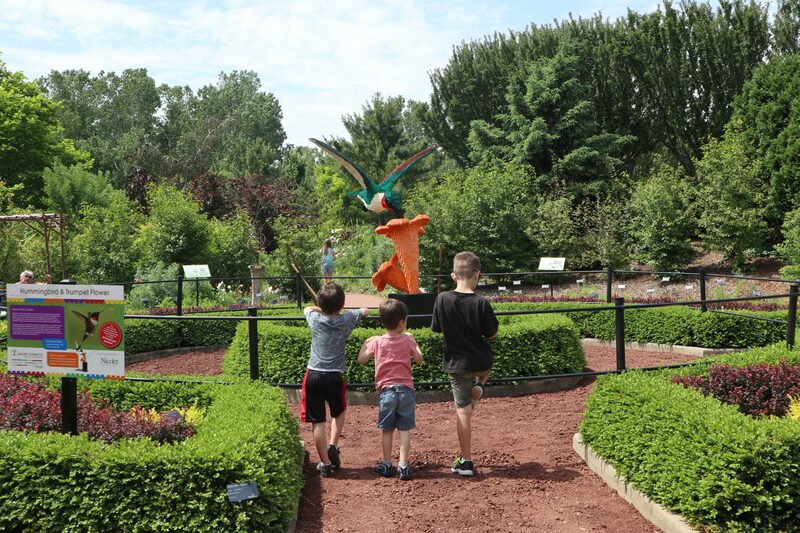 The nature-inspired sculptures were strategically placed in spots within the Garden which represented their natural environments, which made way for some interesting and sometimes amusing “Nature Connects meets nature” discoveries for guests. “Loved our visit yesterday. We admired the detail in the Lego displays and touring all the beautiful gardens. Nature mirrored Nature Connects time and time again whenever a bee landed on a flower to pollinate it, just like the Pansy Bloom sculpture illustrated. This phenomenon captured the imaginations of many of our guests, as we saw from the photos that they shared. When I was wandering the Garden taking photos one day, I found a family crowded around the Birdbath with Birds, Bees & Squirrel sculpture. As I came closer, I was delighted to find a puddle of real rainwater pooled in the birdbath with a live bird bathing in it, surrounded by the birds, bees and a squirrel made from LEGO blocks! Of course, a great deal of behind-the-scenes work went into making the Nature Connects exhibit a success, but each day was a reminder of how impactful each effort truly was. I’ve had friends and family members tell me I am so lucky to get to work in such a beautiful and fun environment, and while this is true, I have come to find that it’s so much more than that. 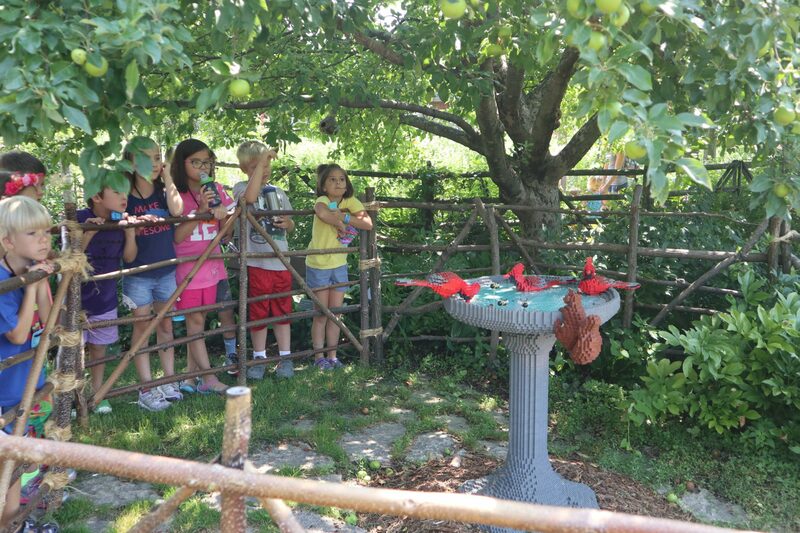 Each day as I walked through the Garden or even through the Fischer Visitor Center’s lower level past the LEGO Block Build Area, I witnessed the smiles and laughs of guests who were enjoying time in the company of nature, unique sculptures and each other. Any effort that makes these moments happen, whether it’s promoting Garden happenings in a social media post or analyzing event attendance data to ensure that we are reaching our guests in the most efficient ways possible, is one of impact and purpose, and it has been a joy of mine to be a part of that.